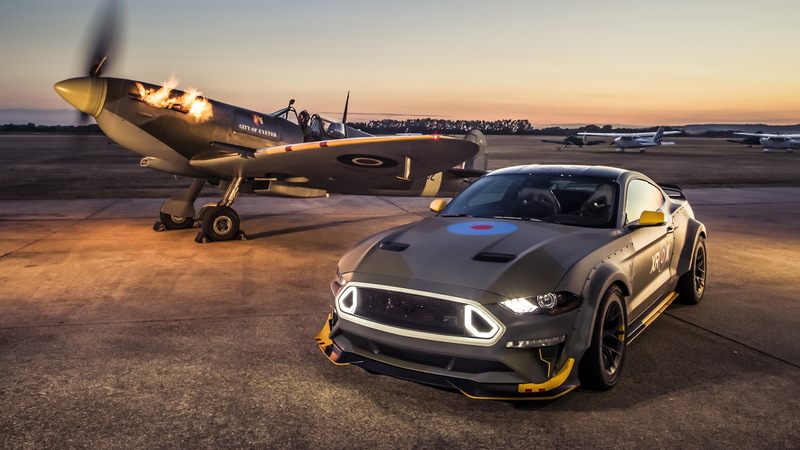 Vaughn Gittin Jr. and Ford Performance unveiled a special Mustang earlier this year. It's called the Eagle Squadron Mustang, and it went under the hammer during July's The Gathering (formerly the Gathering of Eagles), a charity evening in Oshkosh, Wisconsin supporting the Experimental Aircraft Association. One fan, Brayton Williams, placed the winning bid of $420,000 to claim the car as his own. Ford made the announcement on Saturday at the 2018 Woodward Dream Cruise, where the automaker handed the keys over to Williams so he could take the car down the famous Woodward strip. This year marked the 20th anniversary of Ford's involvement with The Gathering, which helps raise funds for the next generation of pilots. It's also the 10th year that a special Mustang has been auctioned off for the charity event. To date, Ford has worked with the association to raise more than $3.7 million. As mentioned, the latest Mustang, based on a 2018 Mustang GT, was created with a little help from Gittin Jr. 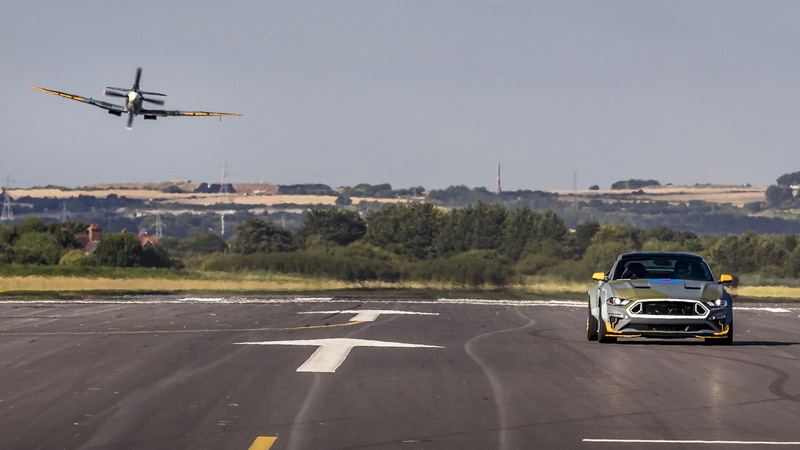 He's good at getting sideways, as he's typically behind the wheel of his Formula Drift RTR Mustang. 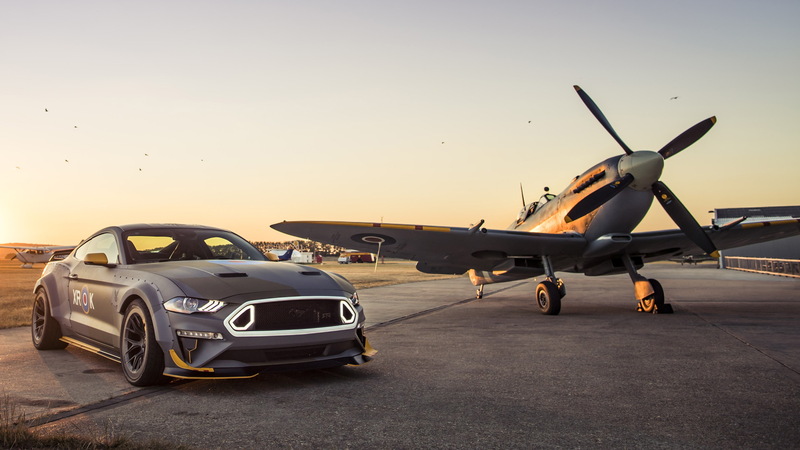 A number of RTR parts found their way under the skin of the Eagle Squadron Mustang, and it now fires furiously forth with 700 horsepower and 610 pound-feet of torque thanks to a supercharged version of the familiar 5.0-liter V-8. The car is also fitted with an RTR Tactical Performance Suspension Package, with adjustable MagneRide dampers, Ford Performance lowering springs and RTR adjustable sway bars. The one-off Mustang wears staggered RTR Aero 7 two-piece forged wheels with 285/30-ZR20 front and 305/30-ZR20 rear tires. The rubber is a set of Nitto NT555s. 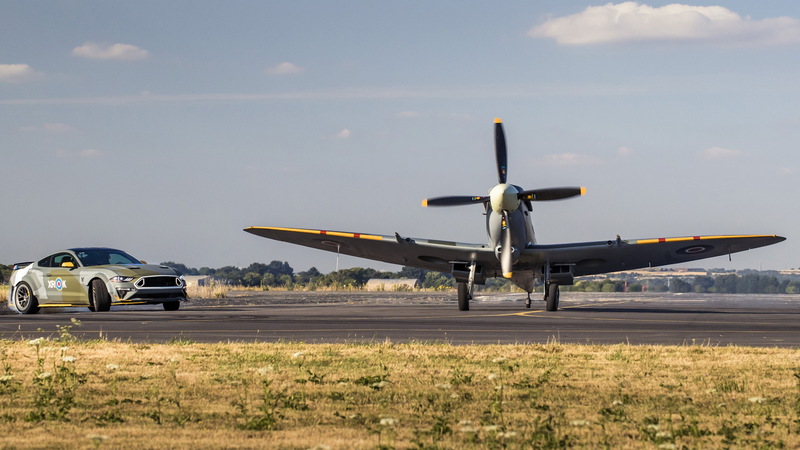 This car was built to pay homage to the original Eagle Squadron from WWII. The squadron was formed of U.S. volunteer pilots that teamed up with the Royal Air Force to fly combat missions alongside the RAF, using the Spitfire. 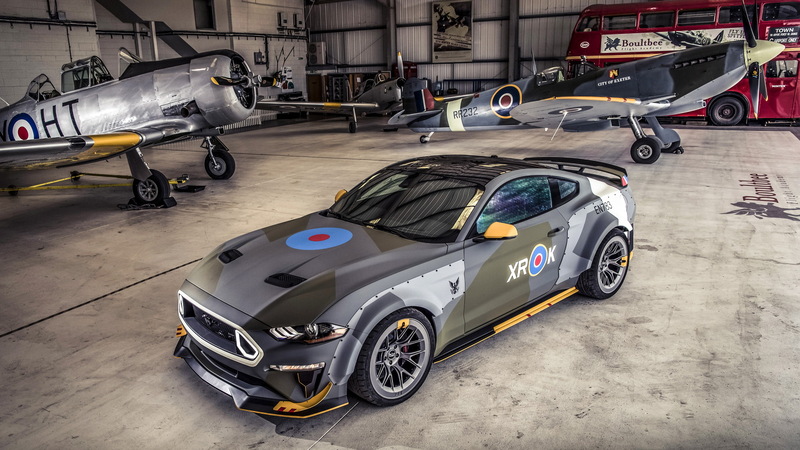 In honor of them, the Mustang has been painted in a camouflaged design to match the Spitfires they piloted. The Eagle Squadron Mustang wasn't the only new Mustang unveiled at Woodward. Ford used the event for the debut of its 2018 Cobra Jet powered by a newly developed 5.2-liter supercharged V-8, and Shelby American had its 2019 Ford Shelby GT.